Hannah Spring thought her life was finally settling down. Her job was going great, her crazy family was at a safe distance, and she was dating a man withpossibilities. Then her beloved grandmother died. for a port in a storm, but it won't happen without some wild nights. 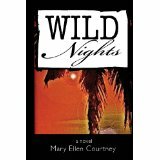 "Wild Nights" is funny, thoughtful and deeply moving.